Hi. 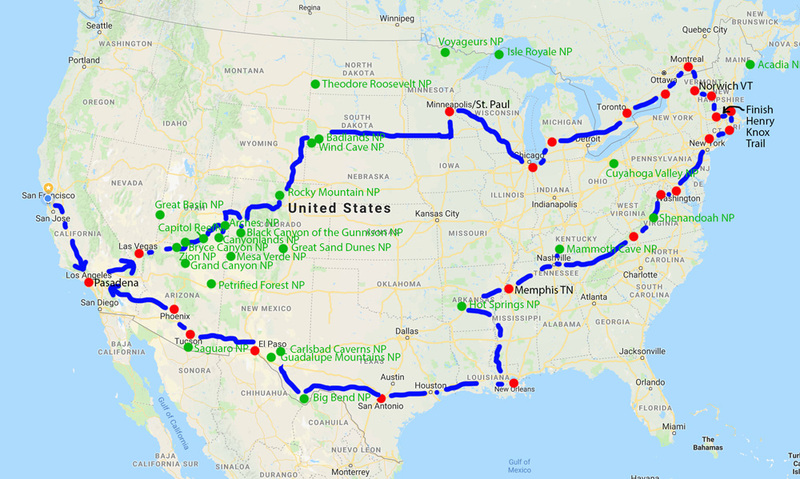 I am getting Ramsey ready to take a six-week road trip around the US. First I’ll drive from San Francisco to Pasadena to deliver my daughter’s dog, Basil. He’s been staying with Annie and me while his family was on their summer vacation. From Pasadena, Annie and I will drive to Vermont for my niece’s wedding, passing through Minnesota. There is someone very important I want to see in St. Paul. After the wedding in Vermont, I will take the Henry Knox Trail from Westfield, Mass, where I left off in June, to Cambridge. I have a box full of my book, Henry’s Big Kaboom, so I can hand them out to all the libraries along the trail. From Massachusetts, I’ll travel through Virginia to Memphis, then west and home again. I picked up a stack of maps from AAA yesterday. As part of my preparations, I dedicated this WordPress blog to just my travels in Ramsey. I’ve renamed the blog and given it a new banner. I also made this little video. What do you think? I will create a different blog about my book writing later. The Dodge mechanic gave Ramsey a thumbs up after his 16,000-mile check-up. I’ve washed the rugs and taken everything out of the drawers and lockers I don’t use. I emptied the gray and black tanks and washed them out with a power hose. Now all I have to do is fill up with water and propane and pack. One hitch is that I realized too late that my passport has expired. Crossing my fingers, I have an appointment with the office in downtown San Francisco to see if I can get an update before my departure in two weeks. Otherwise, I won’t be able to swing through Canada on my way from Minneapolis to Vermont as I want to. If anyone has suggestions about what to see along my proposed route, let me know in the comments section. That’s it for now. 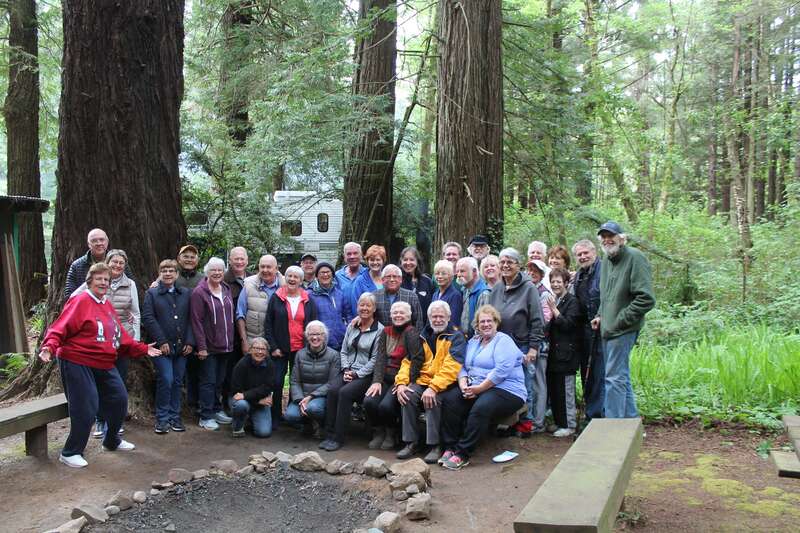 Ann Delfin sent me the group photo that our PleasureWay RV group took of ourselves on the last night of our nine-day rolling rally. Here it is. 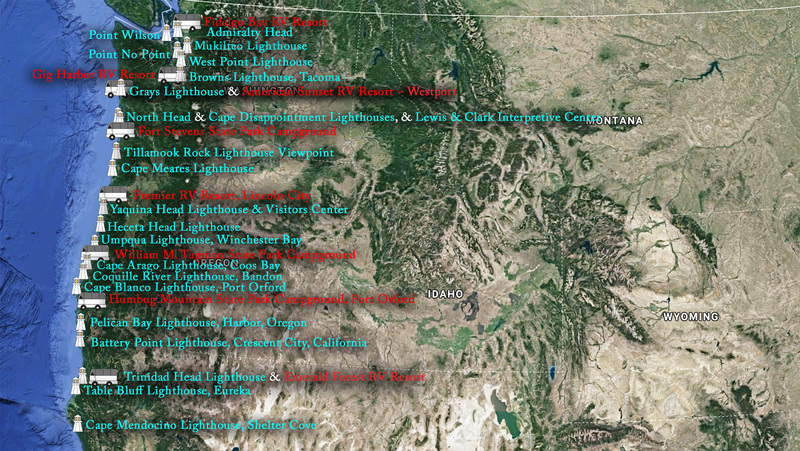 Here is a map showing the lighthouses and RV Campgrounds we visited. And here is the whole trip starting in Anacortes compiled into a 25-minute YouTube video. Thanks again Tim O’Malley for organizing everything.